Lunchtime nachos are a tricky business. Can you get in, get great nachos and get out in under an hour? And really, are nachos as good when you can’t get a frosty beer alongside? Investigating the situation, one Nacho Patroller met up with the whizzes behind Boston Food Bloggers, Cheap Beets and Justin Can Cook, fellow Longwood denizens, at the Longwood Grille + Bar. If you’ve ever wondered what your college dining hall would have been like with waiters, then this is the place for you. If you haven’t, or if you have any objections to food courts or the spelling of “grille”, then maybe you should stay away. Appearance: (6) Colorfully composed, though startling number of naked chips were apparent right from the get-go. Quality of Ingredients: (4) Just about everything here was a little…off. The chili was oddly sweet, something was amiss with the salsa, and the guacamole had been made with avocados that were clearly past their prime. The homemade chips, however, were delicious. Distribution of Toppings: (4) First impressions don’t lie: there were a lot of naked chips and unfortunately, none of the toppings were all that worth scooping up. The chili, where it rested, also tended to soggify the chips below. Price: (4.5) Overpriced for what they were at $9. Overall: 18.5/40. When four people don’t finish a small-to-medium sized plate of nachos, that’s an indication that they aren’t all that good. 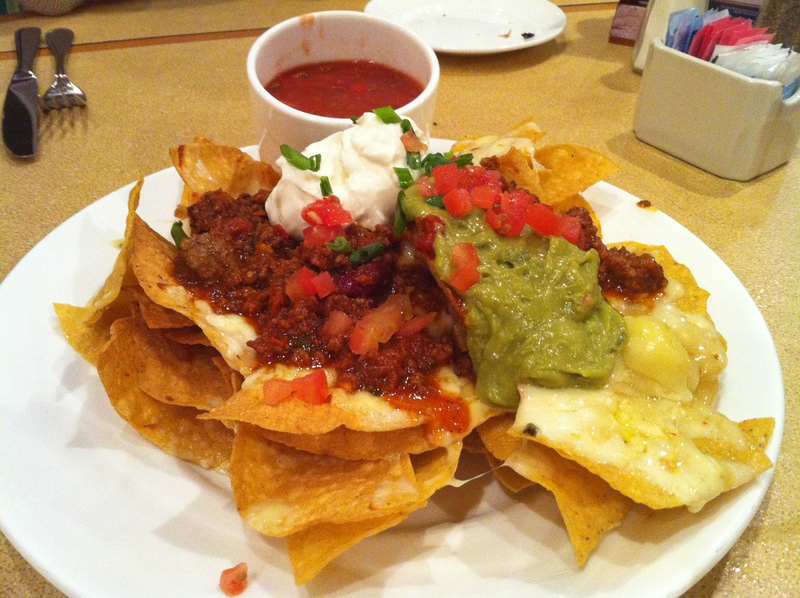 If you want nachos in Longwood, skip the food court and head to Brigham Circle; that’s where we’re headed next.